As you may know, I’m a great fan of the Sarpo range of potatoes. I’ve been growing them since 2005. 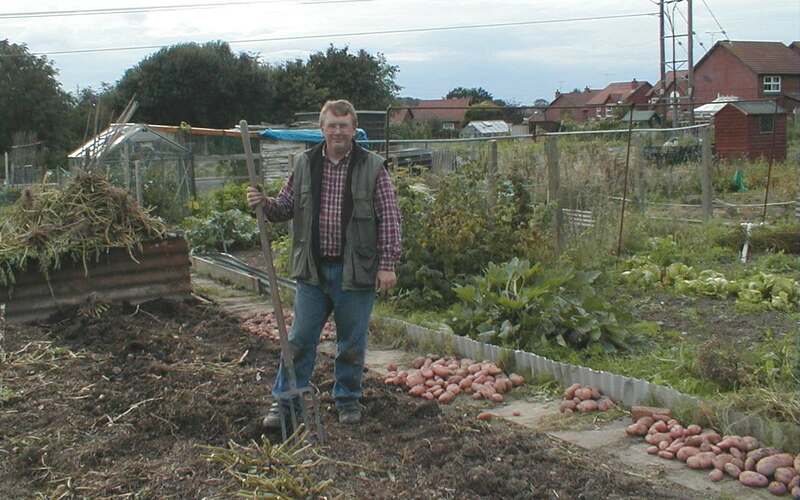 Back in 2007, a very bad year for blight on our allotments, the only potato plants standing on the entire site were my Sarpo Mira! They’re bred for disease resistance – especially blight – and good yields as well as flavour. 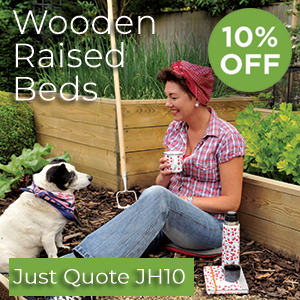 Ideal for commercial organic farmers as well as home growers. Over the years more varieties of Sarpo have become available and there are six varieties available now. 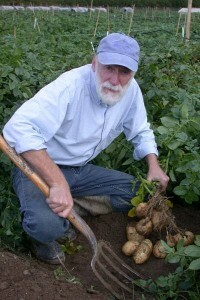 Sarpo potatoes research and development is carried out quite near to us here in North Wales. In 2015 I visited them and met the director, Dr David Shaw who is an expert on potatoes and potato blight. He kindly gave me a tour of the facilities and trial grounds. See my diary post here. We’ve kept in touch and were talking the other day when he mentioned they’d more seed stocks than expected available of Kifli and Blue Danube. Both give good yields, store well and are disease resistant. Blue Danube is unusual in that the foliage may go down with blight but the actual tubers are highly resistant. We’ve not had one Blue Danube tuber develop blight in store. I suggested he might want to put together a deal for us and, after discussions with the distributor – Potato House – we’ve come up with a smashing offer. A grower pack of 2 Kg of Kifli and 2 Kg of Blue Danube for just £13.90 including UK delivery. That’s nearly half normal online price! 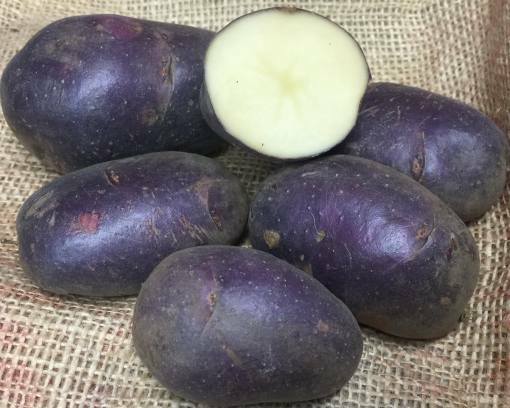 Each offer pack will have around 25 – 30 tubers per variety. At around 25p per seed potato, that’s great value. 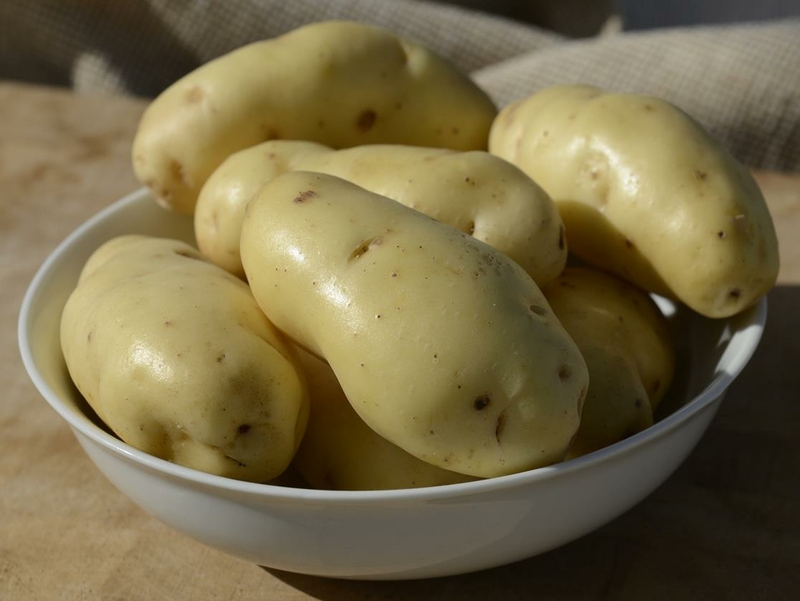 Kifli is a lovely, waxy salad potato with a similar flavour to Charlotte. It’s an early maincrop and can be on the table as early as August. Blue Danube has an unusual purple skin but white flesh and is perfect for roasting. Described as the best roast potato ever – River Cottage chef Gelf Anderson is a big fan.